Hocho Knife: Hocho Knife is something without which a chef would not work. It has razor sharp edges that cuts things precisely. 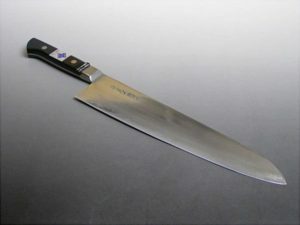 There are different types of Hocho knives that are used mainly for cutting sushi, vegetables, fish, etc. and then there are santoku Hocho knives that can be used for slicing, dicing and mincing purposes. 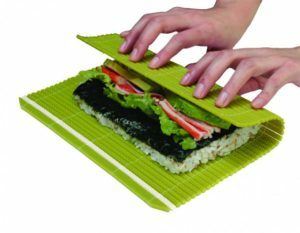 Makisu: Makisu or Bamboo Mat is used for making Sushi. If you are a Sushi lover then you must have Makisu in your kitchen. Makisu is made of thin Bamboo string and Cotton string. The sushis made of Makisu are tightly compact and won’t fall apart easily. Makisus are of two kinds and it is important to use thicker slats. Nagashi Somen Machine: If you want to eat noodles then you must have a Nagashi Somen Machine at your home. Somen are thin wheat noodles that are usually eaten cold during summer season. The way of eating nagashi somen is fun and different. 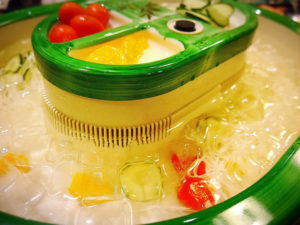 Small portions of somen are released down a slanted bamboo chute water slide and diners have catch them with flow. Wok: Though a Wok is a Chinese equipment but Japanese people use a wok extensively – for stir-frying tasks and for deep-frying too. The long handle of Wok allows people to cook food without burning their hands. 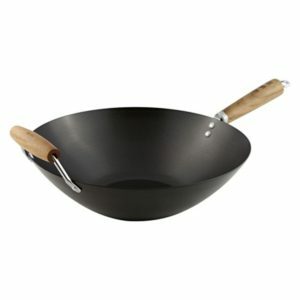 Woks are coated with non-stick coatings such as PFA and Teflo. 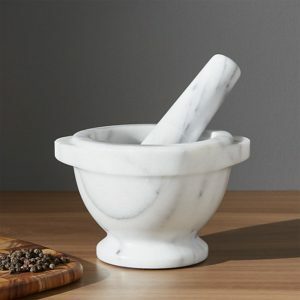 Mortar and Pestle: Mortar and pestle are one of the important tools that Japanese people use. In Japanese these are known as Suribachi and Surikogi and are used for grinding or mashing peanuts, miso sesame seeds and cooked potatoes. 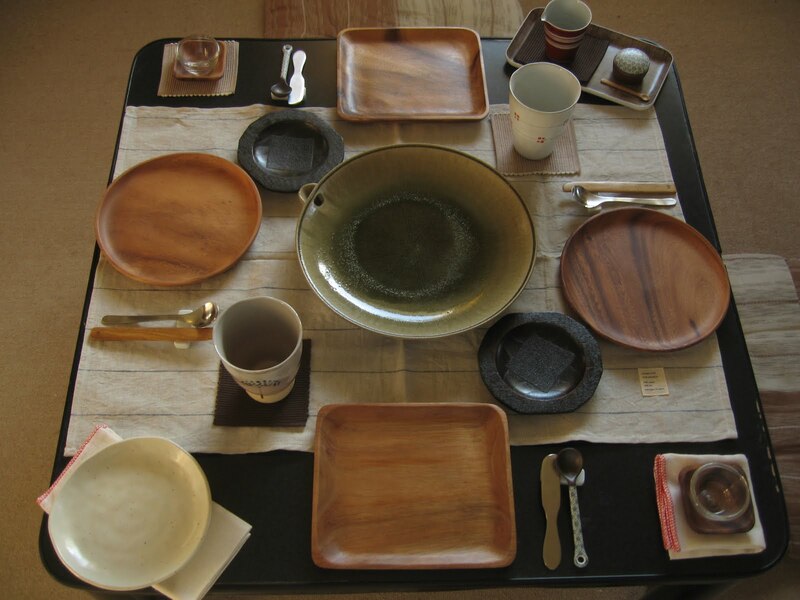 Pestle is made of wood from Sansho which is a Japanese pepper tree because it adds its flavour to the food. Summit Trading Company is a humongous supplier of fresh Japanese food ingredients like Sushi, Miso Pastes, Instant Miso Soups etc in Abu Dhabi, UAE. 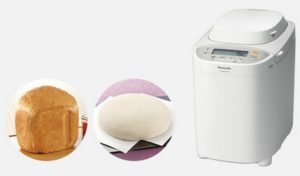 Summit also supplies more than 50,000 varieties of Japanese Tableware and Kitchen products like Portable Gas Stove with Gas Canister equipments of famous Japanese Brands like Tokiwa, Magokoro, Yasuragi, Gito and EBM. Summit is also known for Corporate Catering. Summit has a variety of Menu in Japanese Food. Japanese Cuisine is key dish of attraction.